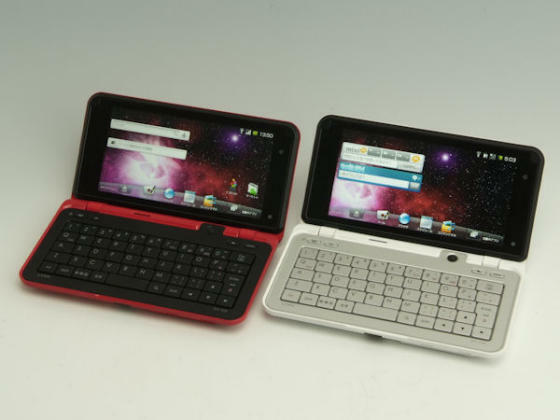 The Dell Streak, the super-huge Android smartphone with a whopping 5″ touchscreen, now has some competition in the form of this, the new Sharp LYNX SH-10B. 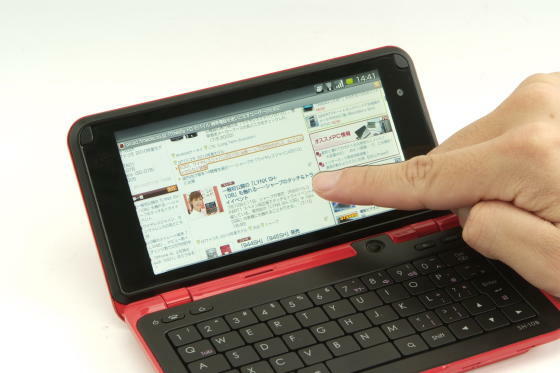 Also featuring a 5″ touchscreen, the Sharp Lynx is just as big as the Dell Streak, but as well as the touchscreen, it also throws a full QWERTY keyboard into the mix. As Well as all the usual array of sensors and advanced gubbins you’d expect from an Android phone, the Sharp Lynx also comes with a 5.3 megapixel camera, a trackball for selecting links on Web pages, and a host of built-in widgets. Unfortunately, the Sharp Lynx is destined for Japan only, so Dell don’t have too much to worry about. However, it’s interesting to note that another manufacturer has faith in the 5″ screen smartphone. I briefly used the Dell Streak last week, and I’m still torn by the size of it. While the display was gloroius and made browsing the Web a dream, it was too clunky as a phone. So personally, I think 4.3″ is the maximum screen size for a phone (at least for me), but if you need your phone primarily for text input, something like the Sharp or Dell Streak could still be ideal.